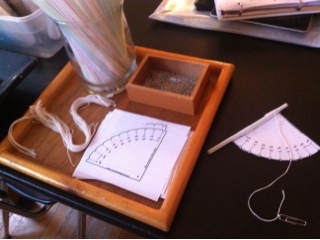 We spent this rainy day creating astrolabes. An astrolabe is an ancient tool used to measure distance from the horizon. Here are some instructions on how to make another type of astrolabe on your own. If you decide to make one, please share it with your classmates.